As the Malaysian government goes harsh with clampdown on illegal migrant workers, undocumented Nepali migrant workers have started going through the procedures to return home. Undocumented Nepali workers have started grabbing this opportunity of returning home as scores of Nepali workers are visiting the Nepal Embassy in Kuala Lumpur to get the temporary Travel Document. The Malaysian government had set deadline for illegal immigrants to avoid the legal actions if they choose Voluntary Deportation Programme also called 3-plus-1 programme, or get legal status through rehiring programme by June 30, 2018. Once the deadline ended, the Malaysian government has launched a severe clampdown arresting hundreds of illegal migrant workers. However, these undocumented workers, who cannot go back to their workplace or be rehired now, have another option to leave the country by August 30 without facing any legal actions. If applied within the deadline for voluntary home returning or legal status, these workers could skip heavy fine and jail terms of up to three months. According to the Acting Ambassador of Nepal to Malaysia, Kumar Kharel, the number of illegal Nepali workers visiting the embassy for the travel document has gone up recently. Nearly 250 travel documents, a temporary passport for one-way travel to Nepal, are being issued every day to illegal Nepali workers. “We have been providing travel document at very convenient manner way to our citizens. The travel document is issued on the same day of the application. For those unable to visit the embassy, we have been trying to reach out to them as well,” said Kharel. In a bid to encourage undocumented Nepali workers to take advantage of the scheme, the Nepali embassy recently organised two camps in Penang and Johor Bahru on last Saturday. Through these camps, the embassy had facilitated workers in providing information about returning home and a total of 277 one-way travel documents were issued. Besides, the embassy has been regularly using social media platforms to persuade Nepali workers to get the legal status or return back home. 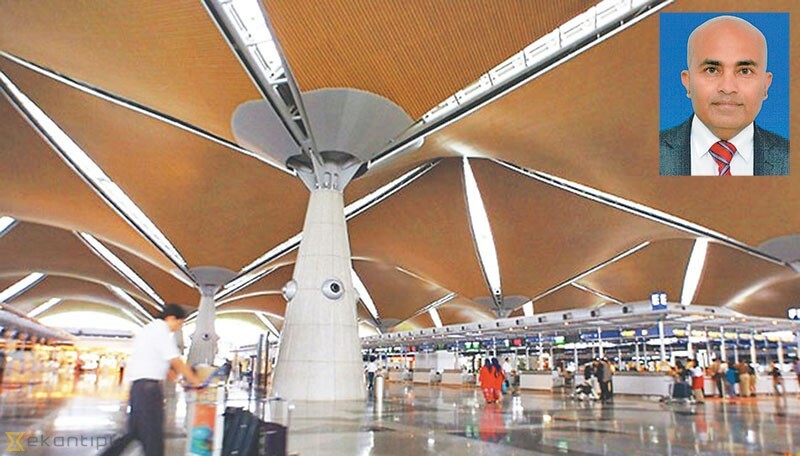 The southeastern nation Malaysia, hosting 485,000 Nepalis, has estimated nearly 25 per cent of its total Nepali workforce, according to its Immigration Department of Malaysia. The issue of Nepali workers becoming undocumented or illegal has been a major headache for the embassy and the local authority, also tarnishing the image of Nepali workers in Malaysia. When these workers run away from their host company and start working for other employer without the valid work-permit or overstay in the country, they become illegal. In most of the cases, they are lured by fellow Nepali workers and Nepali agents for higher income, which makes them more vulnerable to labour exploitation and legal consequences. Employers have been regularly raising concerns about escaping of Nepali workers to Nepali mission as they have invested money for hiring those workers. “Our priority is to encourage them not to become illegal, running away from their workplace. If they have any problem, they can come in touch with the embassy and we will help them in dealing with their concern,” added Kharel. The last deadline for the rehiring and 3-plus-1 programme scheme was set for December 31, 2017 before it was extended again. Nepali workers with valid passports or travel document can return to Nepal after getting an Exit Pass from Immigration Department, which will cost them a fine of Malaysian Ringgit 400. In case of those without valid passport can get one-way travel document from the embassy after paying 160 Ringgit. According to the Immigration Department rules, if arrested during crackdown, these workers will be slapped with the fine up to RM 5,000 and blacklisted for entering Malaysia for up to five years. Also, if produced before the court, the minimum fine would be of RM10,000.